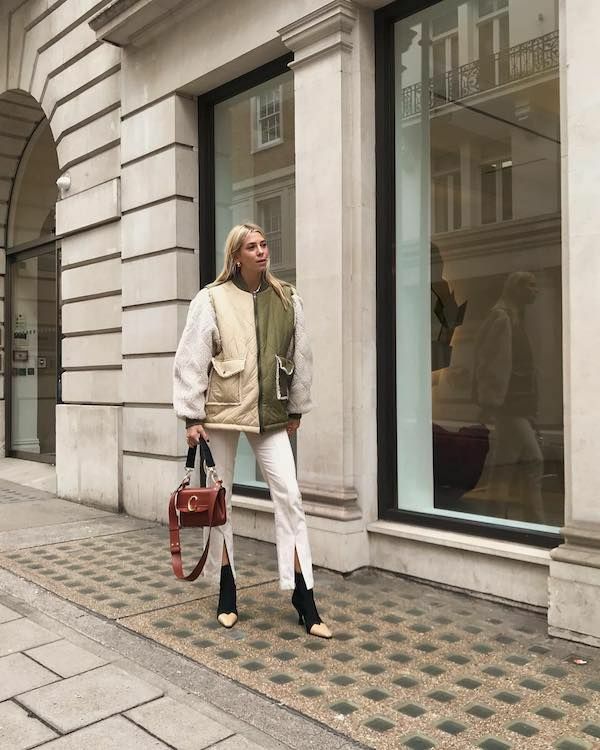 We never knew we needed a cool pair of split-front jeans or pants until we spotted them on British Instagram star Lindsey Holland. She wears hers with a variety of jackets and tops along with everything from classic Converse sneakers to iconic Céline Madame boots. On a side note, can we talk about how refreshing it is to see an influencer wear a piece of clothing more than once?